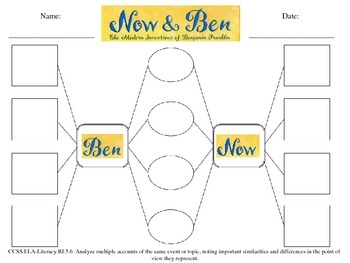 This set of Powerpoint slides can be used in conjunction with the books, "Neo Leo", "Now and Ben" and "Timeless Thomas" - all written by author Gene Barretta. 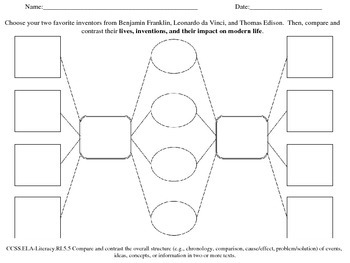 These books, about famous inventors Leonardo da Vinci, Benjamin Franklin, and Thomas Edison, pose multiple Compare & Contrast opportunities. 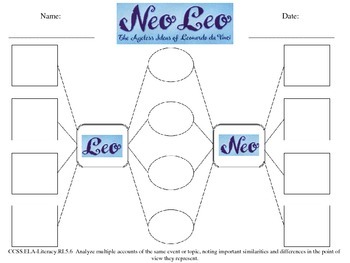 Print the slides out to use as student worksheets, or use the slides on a Smart Board as a whole class activity. 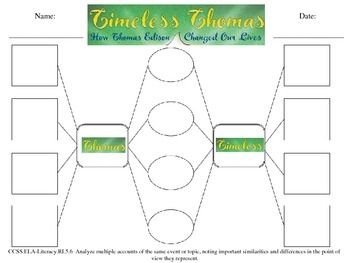 The first three correspond with each book, and the last slide allows students to choose their two favorite inventors to compare and contrast their lives, inventions, and modern-day implications.